Plus, how to prevent the smells in the first place. Even in the cleanest of homes, smelly situations are bound to arise. 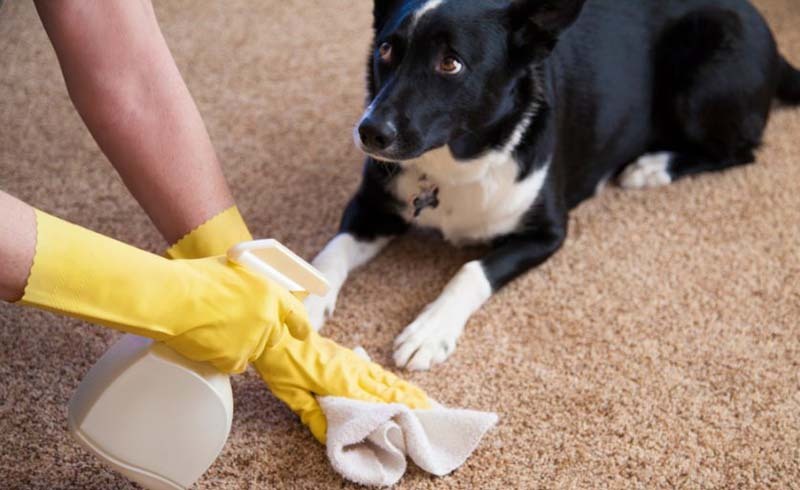 Whether the culprit is a stinky garbage disposal or a smelly dishwasher, it's easy for foul smells to creep up unexpectedly and ruin the vibe of your formerly fresh-smelling home. Luckily, you don't have to put up with these odors (and no, spray air freshener is not a good solution). Instead, get down to the bottom of the problem by following our tips for tackling five of the peskiest smells around your home. For those times when your regular cleaning routine just isn't doing the trick, here are five deep-cleaning, odor-busting tricks to try. 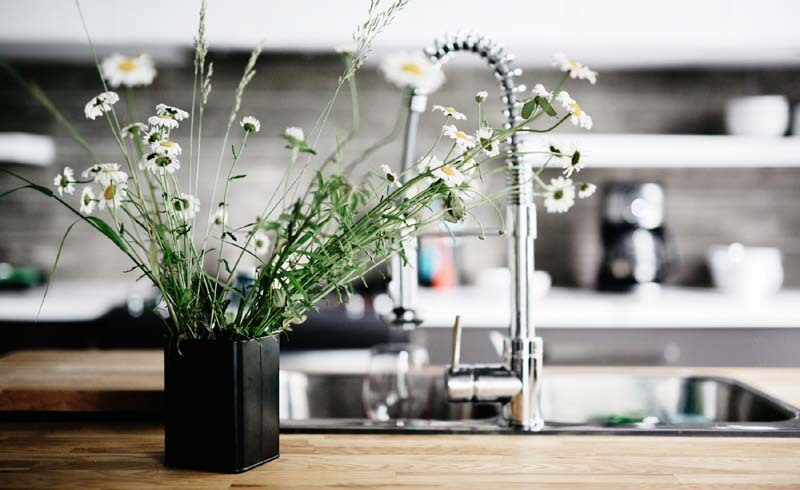 If you have a garbage disposal, you probably appreciate its convenience, but when odors arise, this helpful appliance quickly becomes a nuisance. To de-stink the disposal, follow our guide, starting by pouring 3 tablespoons of Borax into the chamber. Let it sit for one hour before rinsing with hot water. To freshen the disposal while keeping the blades sharp, freeze a mixture of 1/2 cup vinegar and water in an ice cube tray. Toss in a few cubes and turn on the disposal. Another quick trick? Put a lemon or orange peel down the disposal to give it a fresh citrus scent. First of all, prevention is key here. If you're not rinsing food, sauce, and condiments off of dirty dishes before loading them into the machine, it's definitely going to smell. If you have a stinky dishwasher, first check the machine for any visible food particles lodged in the bottom. Then, follow our directions for thoroughly cleaning your dishwasher. Fill the detergent dispenser with dishwashing soap and run a cycle with the machine empty. Then, place a cup filled with white vinegar on the bottom shelf of the dishwasher and run another empty cycle. Also, clean out the dishwasher filter (located at the bottom of the machine) at least once per month with warm, soapy water and a soft brush. This three-minute chore could not only be the difference between sparkly clean dishes and caked-on food particles, but also between a fresh- and foul-smelling machine. If your sweaty gym shoes have a lingering odor or your entire shoe collection has a subtle stench, don't worry—it's possible to revive these wardrobe staples. Sprinkle baking soda inside of sneakers and loafers (avoid getting it on the leather exterior, as it can be drying). Let the baking soda sit overnight so its deodorizing powers can work their magic. Then, pour out the powder in the morning and use a vacuum attachment to remove any excess. To prevent smells, you should try alternating pairs of shoes regularly and try stuffing gym shoes with newspaper, which can help absorb moisture. The toilet is one of the smelliest spots in your home—for obvious reasons. But if the odors are lingering long between uses, it's time to re-evaluate your cleaning method. Toss two antacid tablets into the bowl and let them dissolve for 20 minutes, then use a brush to scrub the inside of the bowl, being careful to get under the rim of the bowl as well. Then, wipe down the outside of the toilet, the lid, and the floor surrounding the toilet. Before you go on vacation (or if your home has a toilet that isn't used often, such as in a guest room), flush the toilet several times before you leave for the trip, as well as when you return. The pipe behind your toilet is designed to dip down and then come back up, and this dip holds water that blocks sewer smells from seeping into your house. If the toilet isn't flushed often enough, the water can evaporate, letting the smells into the room. If smells persist, it could be a sign of a leak in the plumbing that's better left to a professional. The refrigerator is a common odor-causer, but luckily, it's also one of the easiest to fix. For starters, getting rid of old and expired food regularly is the best preventative measure. Set a time once per week to go through the fridge and toss anything that's past its prime. The task should take just five minutes—and it's worth it to avoid explosions of mold or rotten vegetables later on. Then, once a season or when smells start, do a deep clean. Remove everything from the fridge and wipe down the walls, shelves, and drawers following these steps. Also, it's an age-old trick for a reason: leaving an opened container of baking soda in the fridge can help absorb odors.